My Friends and I were using this product. 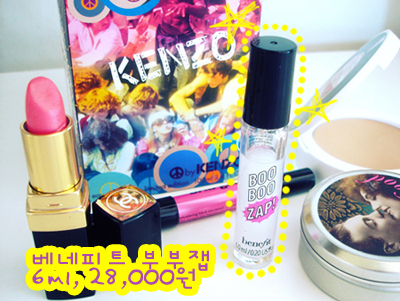 People whom new about cosmetics and even for beauty editor they choose Boo Boo Zap. Like a spot product there is little amount. I like the glass bottle as I could see the amount. I used many spot cosmetics before but there wasn’t too much surprising effect. The sizes of the spot products are just a size of a finger. However I realize after using Boo Boo Zap that problem was within the user. When you look at the advertisement they don’t mention about completely removing the blotches. They can’t give fake information so elusively uses the word calming down so it plants to our mind that they could cure the blotches completely. Boo Boo Zap doesn’t calm down or removes the blotches. It helps the reddish blotches to be in a earlier stage where you can easily squeeze out. When you leave it as it is, it lasts about 2 weeks. Also when you squeeze out the blotches that aren’t ready, it leaves a scar and when you don’t squeeze out perfectly, you have to squeeze out the pus again. How to use Boo Boo Zap? Put it right away when the pimple comes out. It’s wear but can calm down some pimples. If there is some reddish pimple, than apply it constantly. When you can barely see the redness you might see some white substance. You would like to squeeze out however hold on the desire and apply it again. Apply it when you can’t feel any pain anymore. From this stage, leave it, as it would get stiff. In this stage, during the shower, the pus might come out. When there is no more pain anymore and when it got stiff enough take two cotton buds and squeeze it out. Squeeze out all the way so it doesn’t form any pus. After applying the Boo Boo Zap comes down and clearly removes the mark. It can be place upon the makeup but I use it on the morning and evening after I wash my face. I don't recommend to people who have spread of pimples. You might have to use one per week. Also instead for going pimple caring products. Go for the products according to the skin type. This product is more effective when it’s use one or two coming pimples. The entrance looks like this. It’s a liquid type so can drip easily. 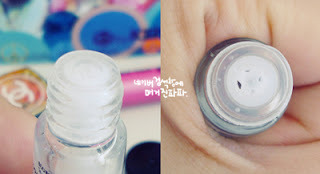 I tried using it with my hand or cotton bud but more effective way is to drop one drop. My sister recommends another product to me. 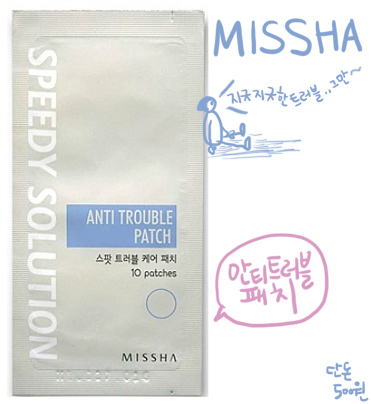 Missha Speedy Solution Anti Trouble Patch cause only 500won (one pack)! There are other trouble patches from expensive cosmetic brands. I don't think it worth that much money. However this is really cheap. There are two different size of circular patch to choose to place on the pimples. It helps to calm down and hurries up the pus to be squeeze out. My sister puts this when she saw a pimple right away and without any pain experience she squeezes out. After she applies again to leave out the mark. After finishing the basic care, I would apply Boo Boo Zap onto the pimple. It absorbs fast so after that I would apply this patch. Take it out on the morning, and helps to be in the stage where you can squeeze out easily. The color is transparent so can where it any time. Sometimes during the piling it might take out the pus. I don't think it’s good to use it for a whole day so using it during the sleep hours is better. My review got longer for these spot products. When you purchase them it's not hard to use and it doesn’t take too much time to finish. When you want to care the pimple marks, it's best to care after the pimples have slow down the appearance. Also it’s better to fix your eating habit and daily habit which it can be the cause of the pimples. After having a expensive care when it occurs again it’s very disappointing so do it at the stage where you can take care of the bad habits as well.